Hi I’m Loulou, I’m one of the Physiotherapists here at 4Lane. Today I’m going to take you through a different kind of squat. It’s the pistol squat. 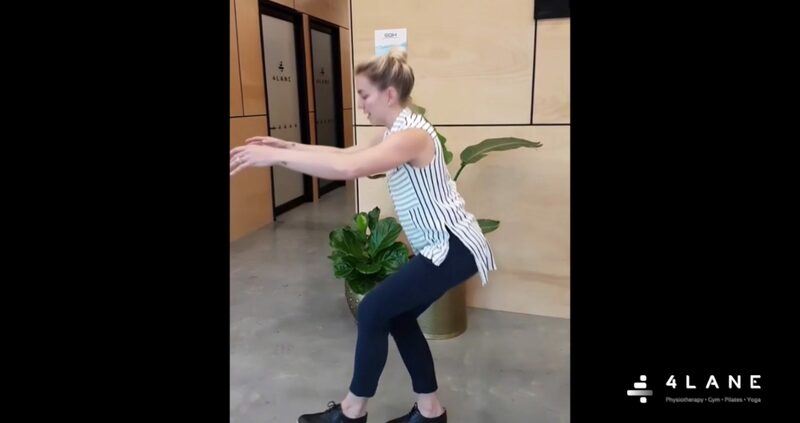 I love this for rehabilitating people like runners, it’s so good for challenging your knee and building ankle mobility but also building glut strength and single leg stability. So, bending one knee up, we’re going to lower down, take hands forward, and come back up. And then changing sides, we really want to focus on bending the knee . . tracking straight rather than letting it wobble from side to side. 6 on one side, 6 on the other. Learn more on this page: Dunsborough Physiotherapy or call us now on 08 9756 7424 to make a booking.